Isn’t it funny collecting stuff; seems such a benign thing to do, you know; something gentle & mild, an interesting hobby perhaps! Ever since I was a young boy, I’ve been interested in collecting stuff. Some people may call it hording. It’s not the fact that I collected stuff for collectings sake, its more about an interest. Everybody should have an interest don’tcha think? I became interested in collecting when I was about 12 years of age, and I’d just moved to ‘big’ school–Whiston Secondary Modern; my first year form teacher Mr Adams was an avid stamp collector and he would often bring his wonderful collection into school. It was like looking through books of ‘sweet things’, I was mesmerised by the colours & designs, and it opened up a whole new world to me, the world of art. The year was 1970 and I had become a Philatelist, PHIL THE PHILATELIST! I couldn’t even pronounce the word but I knew it was important (to me). 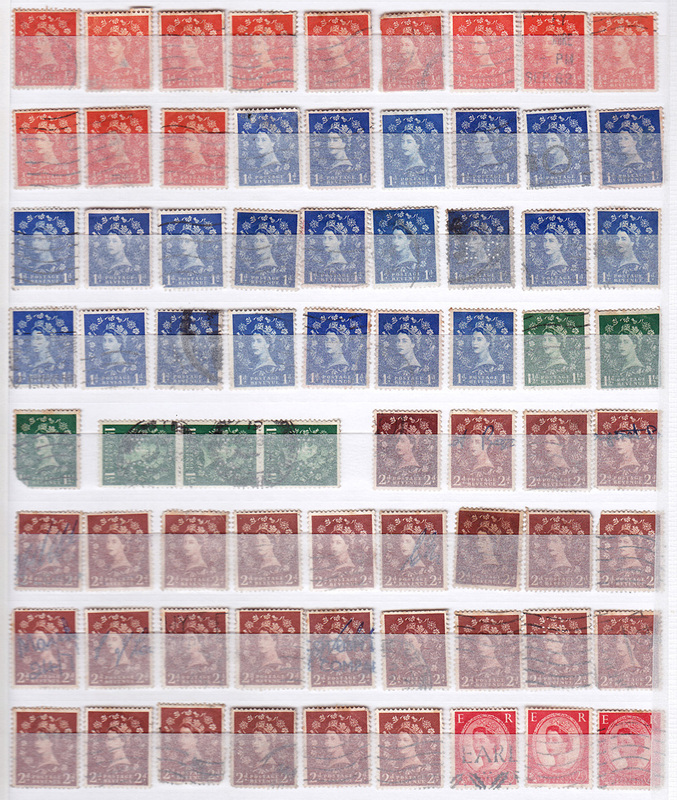 Inspired by Mr Adams I began collecting stamps; there was no tradition of collecting stuff in the Battle household, indeed the family was very poor even by the standards of the 1970’s and stamp collecting was seen as a posh man’s hobby. Costing money, something trivial that went against the daily grind, “a waste of time” as my uncle Reg used to say. But that didn’t stop me, I was stubborn and the more people told me I couldn’t or shouldn’t do something, the more I did it. It became my own personal rebellion against the family. A place where I could escape the poverty & neglect. I developed an interest that was mine. The interest of an ‘only child.‘ It was my world, created by me. A place that nobody understood or even cared about, but because of that it became even more precious. So what attracted me to the genteel world of Philately? Well I quickly realised from an early age that STAMPS are little miniature works of art. Somebody designed and printed these ephemeral little jewels….to me they were just BEAUTIFUL. I knew nothing of art, but of course this ‘art’ had a purpose, it came into everybody’s home, people bought them, sold them, collected them and cherished them. Without one you could never post a letter, write to a loved one, send a parcel or something more official, this was art that had a use, it was of use. Something as valuable as money before you use it and then at the same time something totally worthless at the other end….back then I would never have recognised this as art collecting. The great thing was that most people just threw stamps away. After using them they had no real value, certainly not to the Battle family. I remember looking through Mr Adams stamp albums. He had a magical collection from way back; penny blacks, tuppenny blues, and stamps of all shapes and sizes that had obviously cost a small fortune to collect. They were just beautiful, nicely presented in expensive green & blue binders, mounted and treated like royalty. In my poverty stricken life I had never seen such beauty, for the first time I had seen stamps from all around the world; A half penny green from the Cape of Good Hope, a one shilling orange from Northern Rhodesia , a three pies lilac from India, a four cents orange from Malaya. These were little wonders, jewels from the far flung reaches of the British Empire. Luckily for me the front part of 105 Kemble Street, Prescot, Lancashire was used as a doctor’s surgery and waiting room by the owner of the house Dr. P.G Saurmy LRCP. I never knew what the LRCP stood for. We use to call him Dr ‘Saumby’ because we couldn’t pronounce his name. An elderly gentleman from India who as well as paying rent to, was also the family doctor. He was a black Indian man. Short, stocky, about the same height as grandma, and on reflection, looking to me every inch like Mahatma Gandhi. Not that I even knew then, what Gandhi looked like, or even who he was. What did I know? To a poor urchin like me he was obviously wealthy; he dressed well, in dark tailor made suits and drove a vintage black Jaguar car as I seem to remember. I think he was well respected in the Prescot community as his twice weekly surgeries, were always well attended. I hit on the brilliant idea of sneaking into the surgery after hours, this was easily done as the only thing dividing the family living room and the surgery was a thin wooden screen, this jutted out into our living room. The waiting room and the surgery where side by side. Patients literally had to walk out of the waiting room, into our living room, turn a sharp left at the dividing screen and left again into the surgery. I was told that the screen was built from reclaimed old doors long ago by my grandad. It was stained and gloss varnished in a streaky brown colour, and could be opened or shut concertina style from the middle of the partition. I use to go in at night when grandma was having an evening nap and Uncle Peter and Reggie had gone to the pub. I swiched on the light. The surgery was illuminated by a dim single clear light bulb dangling on a wire from the high ceiling. Inside was an Aladdin’s caves of ‘stuff’. Imagine if you will a Victorian pharmacy, dark wooden panelling from the floor to the ceiling and shelves and cabinets full of old medicine bottles of all shapes and sizes. It had a particular smell; chalky medicinal, wooden, milk of magnesium mixed with peppermint. Hard to describe but even harder to forget, I was surrounded by ‘poisons.’ I had to be careful when entering not to move anything, or if I did, that I put it back in exactly the same place for fear of Dr Saumby or grandma discovering my twilight capers. The room was cluttered but ordered and in the far left hand corner was a cabinet with pull out draws full of medical records and amongst these where letters and correspondence……on finding these I decided to give myself the very important task of ‘liberating the stamps’ from certain decay and destruction. So I took on the nightly, exciting, duty of sneaking into the surgery and rummaging through the hundreds of files and draws looking for stamps. I would simply tear them off envelops, notes & receipts but being careful not to disturb anything too much for fear of being found out, but of course I never was. To others, they were worthless but to me they were my little treasures, my window into another world, I used to look at them with wonder….when were they posted, where from & by whom? they represented little snap-shots, ephemeral moments lost in time. How could anybody design such a beautiful thing and yet be so tiny? Collecting stamps from Dr Saumby’s surgery was free and easy and before long I soon had a sizable collection, mostly the same dating from the early sixties, late fifties. King George V and Queen Elizabeth. Hundreds of penny blues, tuppenny browns & ha’penny orange, all beautifully engraved with the queen’s head, but also some rarer finds, a few Victorian penny reds and high value two & six penny’s from the time of King George V.
It got me going, it was the start and awakening of many things in me, my interest in art & design, travel & history. Of course the doctor’s free supply of ‘liberated’ stamps was not inexhaustible and sooner or later I would have to find fresh supplies so I began to turn my attention to the local rubbish tip. In the early 70’s this was known as Browns Field and ‘the old cars’ in those days rubbish tips where very much open ground and anybody could just more or less wonder on to them, so after school me and a few like-minded mates would go down to the tip looking for stamps! It seems mad to think about it now but anything that looked remotely like an old envelope with a stamp on it was fair game. We used to have competitions to see who could collect the most stamps. The only people on the tips in them days where a few old men looking for scrap metal to sell, (my Uncle Peter was one of them) and us, a little gang of ragamuffin kids looking for stamps…..tell that to kids today and they won’t believe you. To us it was deadly serious, (everything is in childhood), we were searching for treasure. The hope of unearthing a PENNY BLACK or something even rarer, we were like a 1970’s children’s ‘time team.’ Archaeologists looking for stamps, in the sure and certain hope that we’d find one stamp to make us rich and famous beyond our wildest dreams. Of course as luck, or the lack of it would have it….this never happened! But all the same, we did find lots of stamps! Working the rubbish tips was not without its hazards, we did come across the rotting corpses of dead dogs, rats and rotting foodstuff. The smell at times could be overpowering, but hey, we were kids! It amazes me today just how much freedom we had back then. You cannot even imagine kids wondering around rubbish tips today. Things where different back then! In time my kindly Uncle Peter would give me some pocket money to buy a little cheap stamp album and some hinges from the local newspaper shop and as my interest grew I might even go to Woolworths and buy a packet of 100 assorted stamp from around the world for about 10p, complete with a free plastic magnifying glass. Amazing value! The funny thing about stamp collecting is that once you start you never stop, and even today 40 years on I’m still on the lookout for unusual and rare stamps, and before you ask, yes; I still have my collection from all those years ago full of ‘liberated’ stamps from Dr Saumby’s surgery and rescued stamps from the rubbish tips in Prescot. They are amongst the only few physical ‘attactments’ that remain from 105 Kemble Street…. 16 Dec	This entry was published on December 16, 2011 at 7:53 pm. 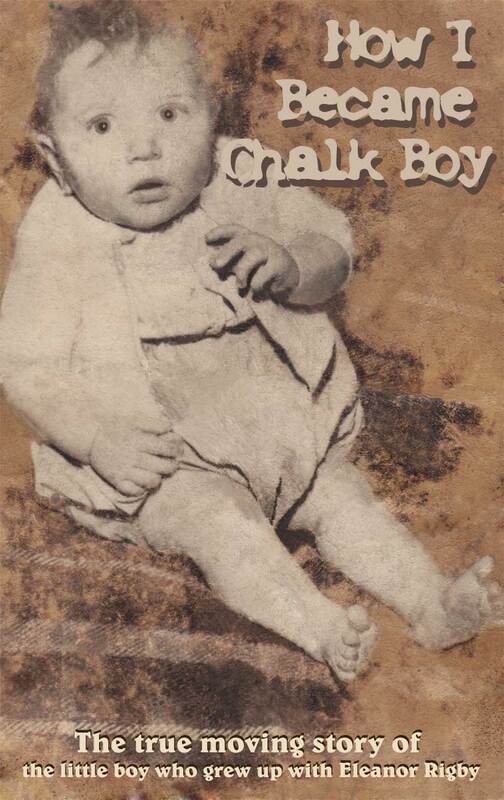 It’s filed under books, family, writing and tagged 1970, 2011, artist, arts, autobiography, battle, book, boy, chalk, collecting, kemble, merseyside, philatelist, philip, prescot, stamp, street, uk. Bookmark the permalink. Follow any comments here with the RSS feed for this post.